After nine years of marriage, my husband and I took our first road trip. Since I can read French, we decided I would take the wheel in Quebec–where all the street signs are in French. Driving into Montreal was fraught with adventure as rapidly changing highway signs warned of lane closures. Having no clue where I was, I kept worrying that the closed lanes were the ones I needed. Thankfully, they were not. I followed our GPS’s directions onto a lane (or public square I’m not sure) that seemed to dead end at Notre Dame Basilica. A one-way cobblestone street to the side of the cathedral took us to our destination though, Hotel Le Saint-Sulpice. Gratefully leaving the car to the valet’s capable hands, I drank in my surroundings and was immediately seduced by Montreal’s charm. The hectic drive was forgotten as I listened to horses clopping along and watched people roam around this historically-important area. I was utterly smitten by the town. After squealing in delight at the luxury accommodations of our suite at Le Saint-Sulpice, we ventured out to secure dinner. Although fine French restaurants surrounded us, we chose a tasty Italian bistro on rue Notre-Dame. Our appetites sated, we decided to stroll around Old Montreal and identify places to visit the next day. 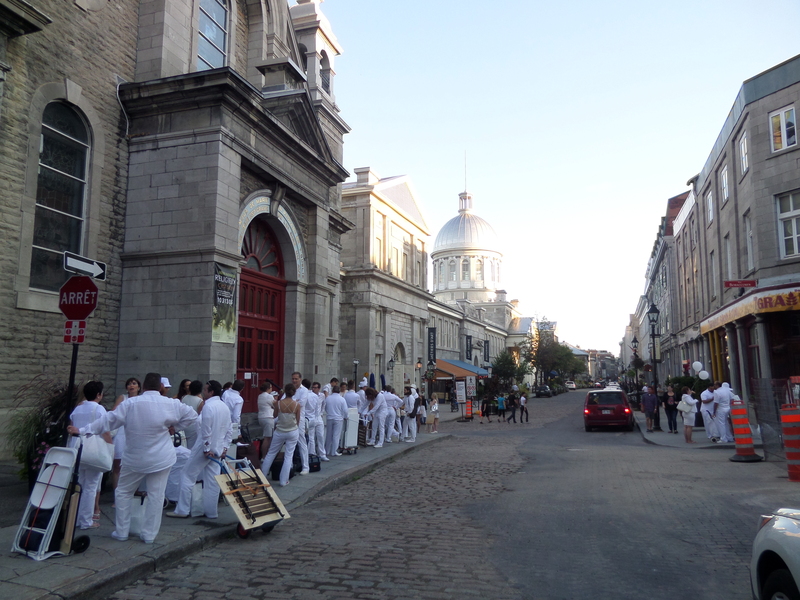 As we rounded the corner of rue Saint-Paul, my husband proclaimed, “There must be several weddings tonight—odd for a Thursday.” I caught a glimpse of what he was referring to, and saw lines of people dressed in white and carrying picnic baskets. They seemed to be heading in the direction of the Old Port. I gleefully exclaimed, “It’s a White Party.” I had never been to one (alas my black-clad self meant I wouldn’t attend this one either), but had heard of their growing popularity. And here was one in Montreal right in front of me! The participants were elegantly dressed; some women wore dresses reminiscent of the Roaring 20s giving the party a Gatsby-esque feel. I later found out that for seven years the city has hosted Le Dîner en Blanc—a secret affair where guests dressed in all-white bringing fine food and wine are chartered to an undisclosed location. My husband and I just happened to be in the right place at the right time to experience the revelry. Le Dîner en Blanc is indicative of the diverse, fun atmosphere of Montreal. If you are looking for what to do in Montreal, you won’t be looking long. There are loads of festivals and celebrations to partake in, especially those dealing with the area’s heritage. We enjoyed both Archaeology Month and Italian Week while there. Montrealers are proud of their heritage, as is evidenced by their centuries-old buildings and celebration of diversity. 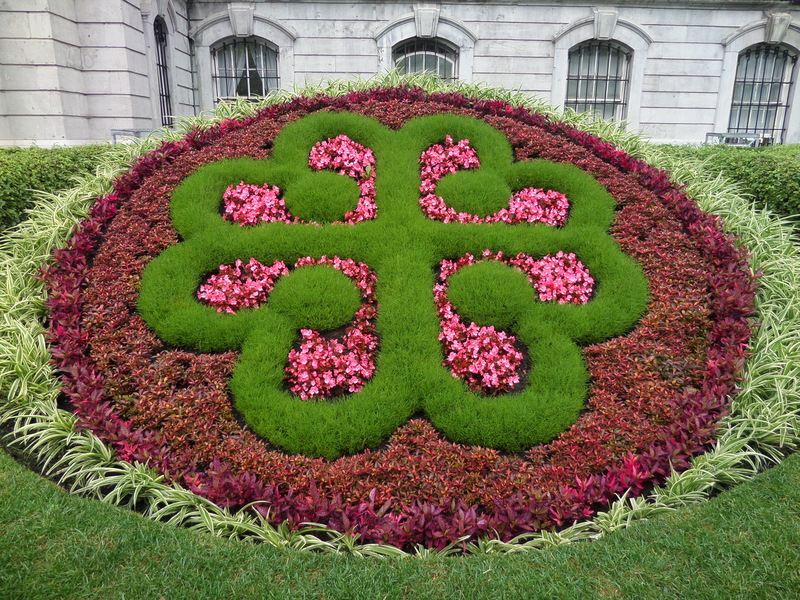 The Montreal flag is a red cross on a white background (representing its Christian founding) with four emblems symbolizing prominent nationalities : Fleur de Lys (French), Lancastrian Rose (England), Thistle (Scottish), and Shamrock (Irish). Today, city officials and citizens have agreed to a Charter of Rights of Responsibilities for Montrealers based on values of human dignity, equality, peace, openness, democracy, and environmental respect. 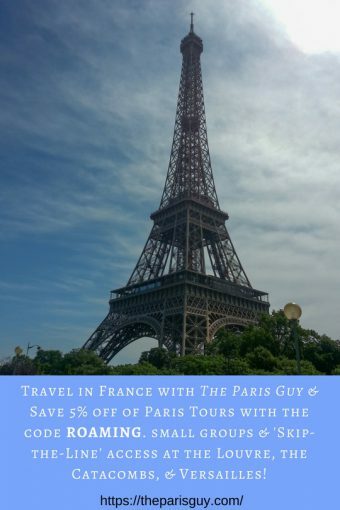 French is the dominant language, but inclusivity is apparent as shopkeepers and restaurateurs bilingually greet guests with “Bonjour/hi.” Your response giving them direction for what language to carry on the rest of the conversation. I caused myself endless trouble by automatically responding “Bonjour” (I think it’s nice to greet someone in their language), which would result in a conversation that would tax my limited French. After I being confused by a man asking for my zip code, I told him that I didn’t understand. He immediately switched to English and seemed sorry that he hadn’t guessed that French wasn’t my first language. I was inwardly pleased that my French had advanced enough to carry on half a conversation before resorting to English or a silly version of charades (where I act out what I’m trying to say). Montreal’s past is most clearly seen in the Old Montreal neighborhood, but Montreal’s rich culture can be experienced throughout the city. The city is a collage with each neighborhood adding a piece of color to create beautiful art. Old Montreal was the neighborhood in which we stayed and spent a great deal of time. After centuries of Native American settlement in the area, French colonists registered the area as Ville-Marie (Montreal’s first name) in 1642. From that time traces of history are apparent in Old Montreal, I highlight some of the spots in my Old Montreal Walking Tour. The essence of the neighborhood is best appreciated on foot. 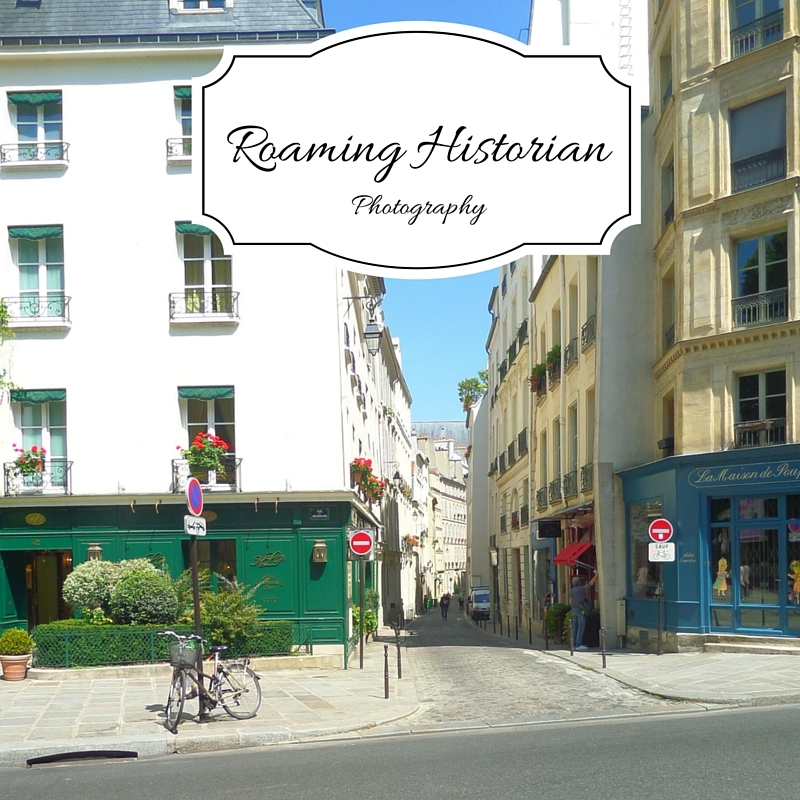 I loved strolling down the main streets of Saint-Paul and Notre-Dame and then veering off on little lanes to see what treasures I could find. On rue Saint-Amable, in the courtyard of an old stone building with one of Montreal’s distinctive outdoor staircases, a community of artisans exhibited jewelry, clothing, purses, and the most delightful lamps made of blown-out wine bottles. Since everything is in close proximity, a walk down to the Old Port took only a few minutes. Along the banks of the St. Lawrence, old and new blended perfectly. In the distance, the Clock Tower commemorated the fallen of World War I, while in another area of the port families navigated a pirate ship obstacle course. Food trucks doled out frozen desserts to those walking on the pier. Wine flowed and modern music filled the air at a river-side bar. Down the road from Old Port, I enjoyed Quebecois sparkling cider at Philemon Bar (rue Saint-Paul). 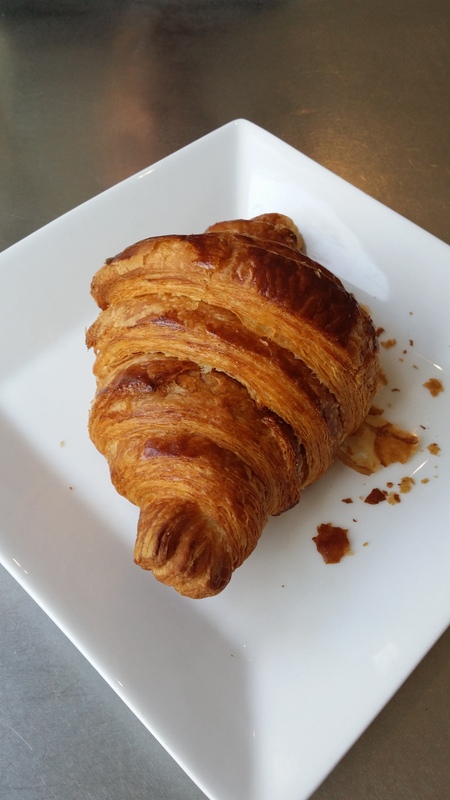 At Maison Christian Faure, I more than once delighted in perfect croissants, chocolate cakes, and macarons—the bakers are definitely artists in their own right. Old Montreal is not the only neighborhood serving up delicious eats though. A trip to Jean Talon Market in Little Italy proved to be a culinary delight. 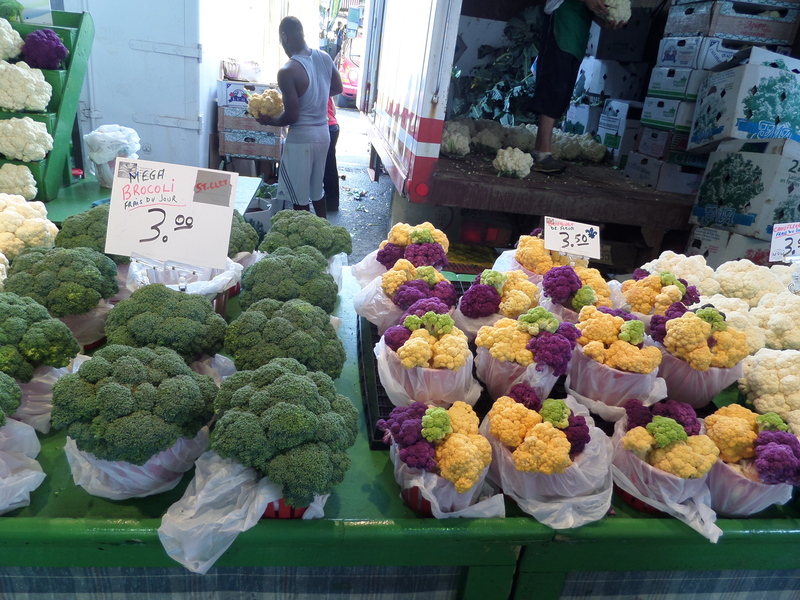 Local farmers brought in produce in a kaleidoscope of colors—red tomatoes, blueberries, purple cauliflower, brilliant green broccoli, orange zucchini blossoms, and bright yellow lemons. Vendors sold cheese, oils, meats, spices, and seafood. Although located in Little Italy, food stands represented many ethnic groups selling goodies like poutine, empanadas, samosas, and baklava. I would highly recommend going there on an empty stomach. Foodies will delight in other neighborhoods, too. Plateau Mont Royal serves up lots of sidewalk cafes. Nearby boutiques allow one to walk off the extra calories. Or, to really get some exercise, one could climb nearby Mont Royal. Not that I did that, of course. I walked about three blocks uphill before taking Bus 11 which stopped at several points on the mountain. Jacques Cartier may have climbed it in 1535, but I’m not an adventurous explorer so I reserved my energy for walking in the park. From the various bus stops, I could explore the grounds designed by Frederick Law Olmstead (of Central Park fame) and visit Mont Royal Cemetery (1852). Montreal has something for everyone. There are plenty of things to do and see—lovers of urban architecture will appreciate downtown skyscrapers (though none can be higher than Mont Royal). In Downtown Montreal, one will find the Museum of Fine Arts, loads of cultural venues, shopping, and much more. 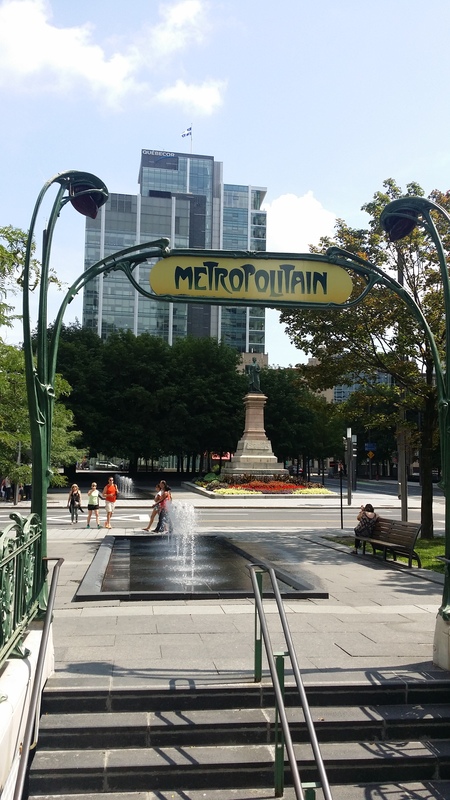 The Square Victoria area showcases the Franco/Anglo dichotomy of the city with a decidedly Parisian Metro sign (Art Nouveau style) across from a statue of Queen Victoria. The Latin Quartier is home to the University of Quebec in Montreal, a grand bibliothèque, and Gothic-inspired university buildings. Colorful Victorian townhomes brighten the streets in the area. Restaurants boast a great diversity of offerings, including vegan and vegetarian options. While there we tried to explore as many areas as possible, but we would have needed a much longer trip to get a full experience. In a short time, I had made a lot of memories in Montreal. As we pulled the car onto the highway, I felt the pang of leaving a place that has garnered a special place in my heart. Until next time, Montreal! The metro system is nicely labeled and effective; day and weekend passes proved a good deal for us. We found the subway system easy to navigate, but Americans may need cash to buy tickets. The ticket booth operator informed me that all American credit cards do not work in the automated machines (travel cards with the European-style chip should be okay). If you do not have the right kind of card, ticket operators accept cash. There is a city-wide bike rental system called Bixi. Their website provides information about where bike stations are and how tourists can use them. There are a lot of stations. If you’re into cycling, this is a relatively low-cost way to see the city from above ground. Fees are calculated on duration of trip. You pick a bike up at one station and drop it off at the station nearest to your next location. Looking for a list of things to do in Montreal? The Montreal tourism board provides free, handy guides that they will mail to your home upon request before your visit. 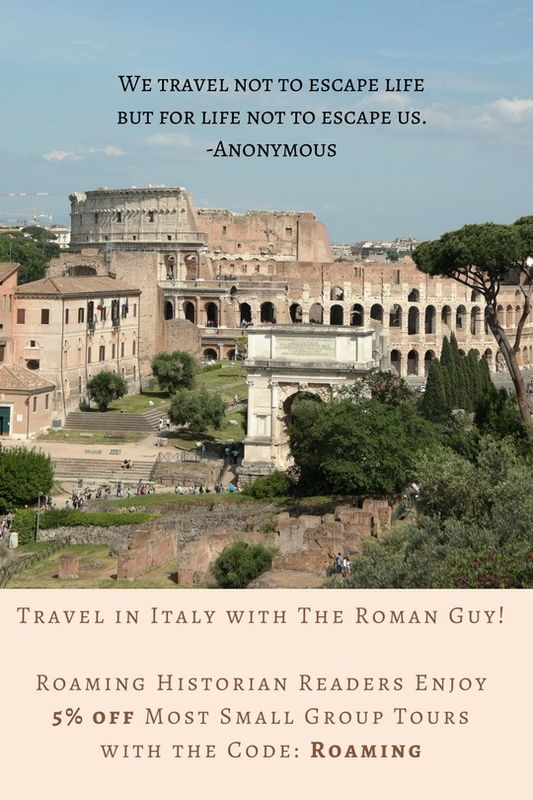 The guide was invaluable, as it listed cost of attractions and nearest metro stops. It was small enough to fit in my purse and thin enough that it didn’t prove cumbersome. What to do in Montreal in inclement weather? Montreal has a network of more than 20 miles of indoor walkways with shops, hotels, and restaurants.